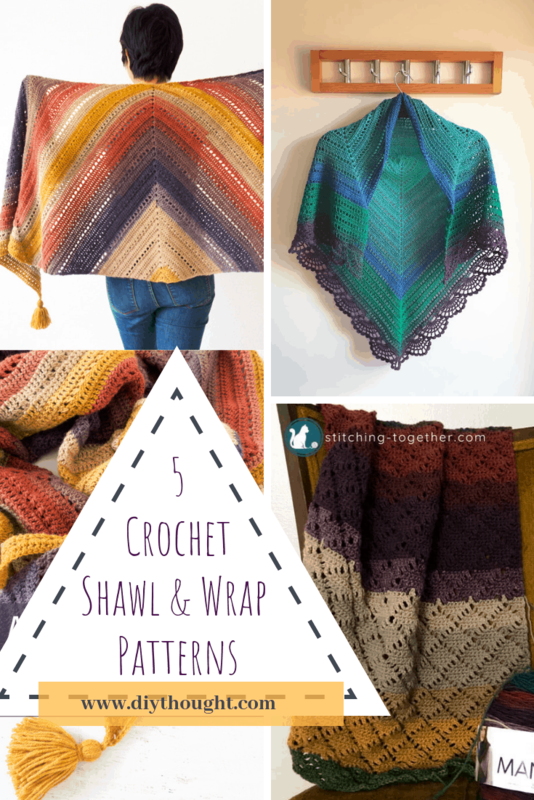 Today we have found 5 stunning diy crochet shawl & wrap patterns. These patterns are perfect for your next crochet project. All are beautiful and make lovely gifts but be warned you will be tempted to keep them for yourself! The hardest part is deciding which one to start first. This is an elegant shawl with beautiful details, based on a beautiful girl named ‘Ana Lucia’ and her girly feminine style. This shawl may look complicated but it is 10 rows repeated 4 times so with a little patience beginner crocheters can complete it. Click here to read more about Ana Lucia and get the free pattern. 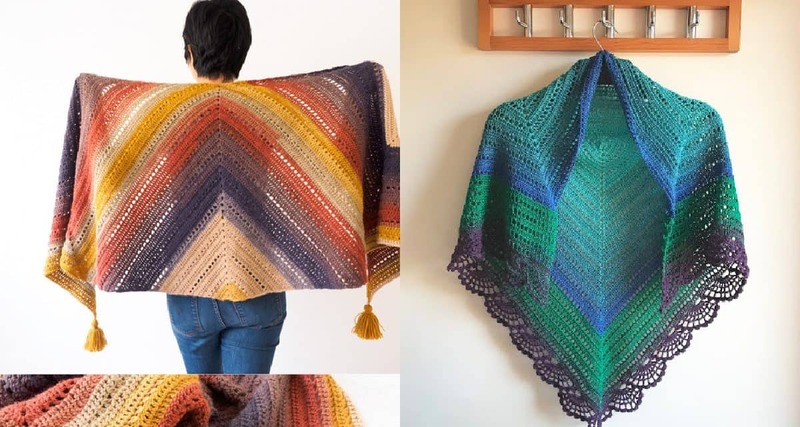 The changing colors in this shawl give it some extra wow factor! 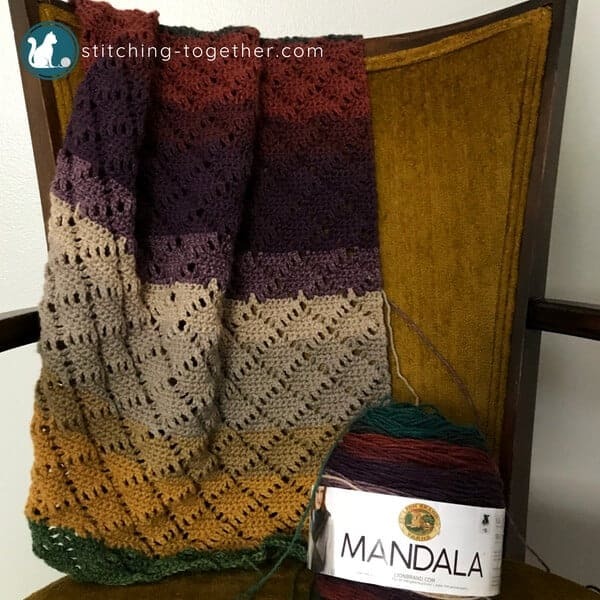 Starting at the lower edge and working to the top edge, this shawl is amazing to watch grow as you crochet away. The lightweight yarn changes colors as you form the rows of pretty shell patterns. This shawl is great for someone of an intermediate skill level. Head over to Red Heart to get the free pattern. The Adirondack Wrap uses shapes and colors to create to a long, light and flowing wrap that can also be worn as a scarf. This is a simple design which makes it perfect for on-the-go crocheting and the beginner crocheter. 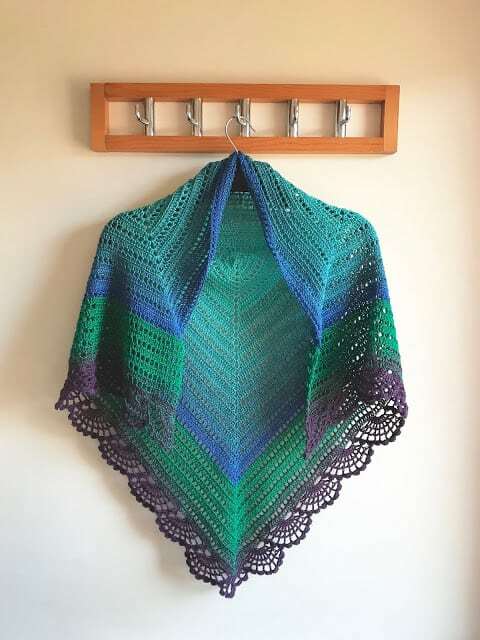 We love the colors used in this wrap but a wide range of colors will work well. Click here to get the pattern from One Dog Woof. This free crochet pattern for the gorgeous, we absolutely love this diamond design! This scarf pattern is suitable for an advanced beginner. 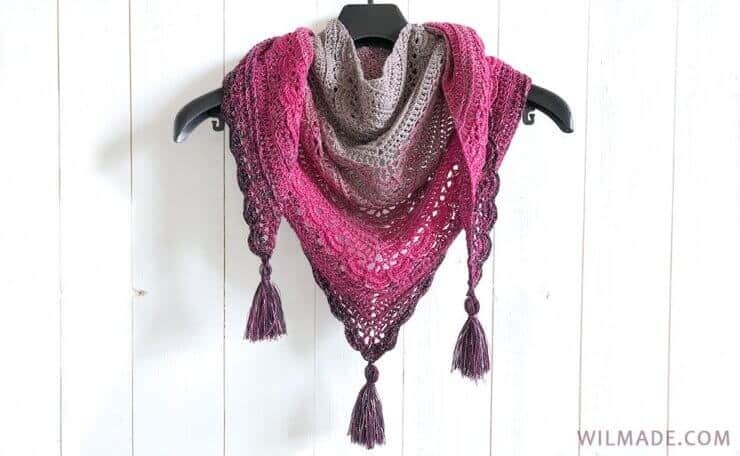 If you can chain, single, and double crochet, you can make this! Follow this link to get the free pattern. The feather border on this stunning shawl transforms it into a stand out piece. This shawl is perfect for your next outing. Head over to Blue Star Crochet to get the pattern.